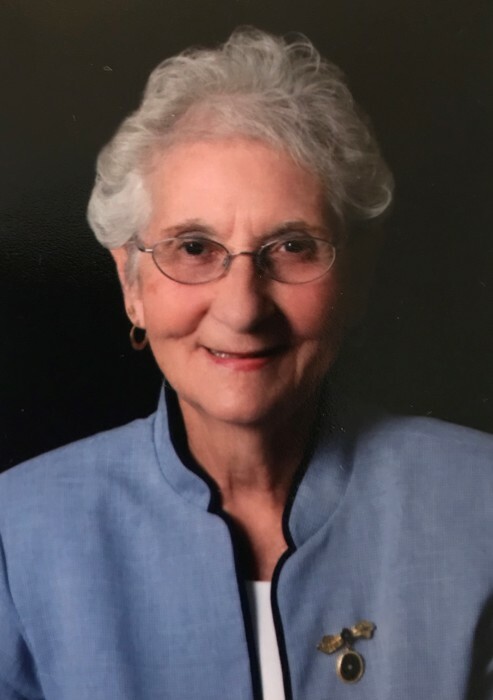 Barbara A. O’Connor, of St. Paul’s Community, South Bend, passed away Saturday afternoon at St. Joseph Regional Medical Center, Mishawaka. Barbara was born on May 14, 1930 in Fort Wayne, IN to the late Edward P. and Elizabeth A. (Wilhelm) Saxton Queen, and has lived in this area since 1963. On February 17, 1951 in Fort Wayne, Barbara married Vincent E. O’Connor who survives. Also surviving are three daughters, Julie K. (Phillip) Nathanson of Palm Harbor, FL, Mary B. (James) Klemczewski of Granger, IN, Nancy A. (Mark) Shepard of Canton, OH; two sons, James V. O’Connor of South Bend and Joseph P. O’Connor of Fort Wayne, IN., nine grandchildren, Connor P. Nathanson, Bridget C. Lindfelt, Megan K. Motherwell, Michael P. O’Connor, Colleen M. and Matthew J. Klemczewski, Jack P., Liam M. and Brian O. Shepard, and three great grandsons; Patrick, Declan and Aidan Lindfelt. For Barbara and Vincent, family was of utmost importance; they are so proud of their children. Barbara was an active member of her community. After having leadership responsibilities with the Johnny Appleseed Organization in Fort Wayne, Barbara and Vincent were committed volunteers at the Logan Center. Barbara was President of Protective Services, an officer on the Hearing and Speech Board, and served on a variety of other committees at Logan. In addition, she was a member of the Board at Marian High School. Barbara loved her friends at the Michiana YMCA where she enjoyed swimming and luncheons. She enjoyed her walks on the beach at Long Boat Key where she and Vincent wintered. Barbara was a loyal and passionate fan of the Fighting Irish of Notre Dame.